Every week when I go grochery shopping I keep my eyes open for any 'new' exotic fruit. 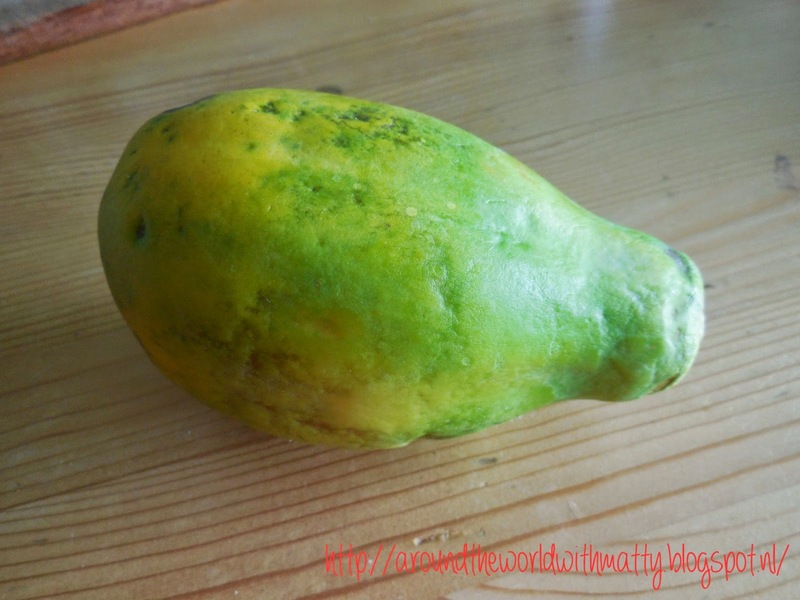 For today's blog I have a Papaya. 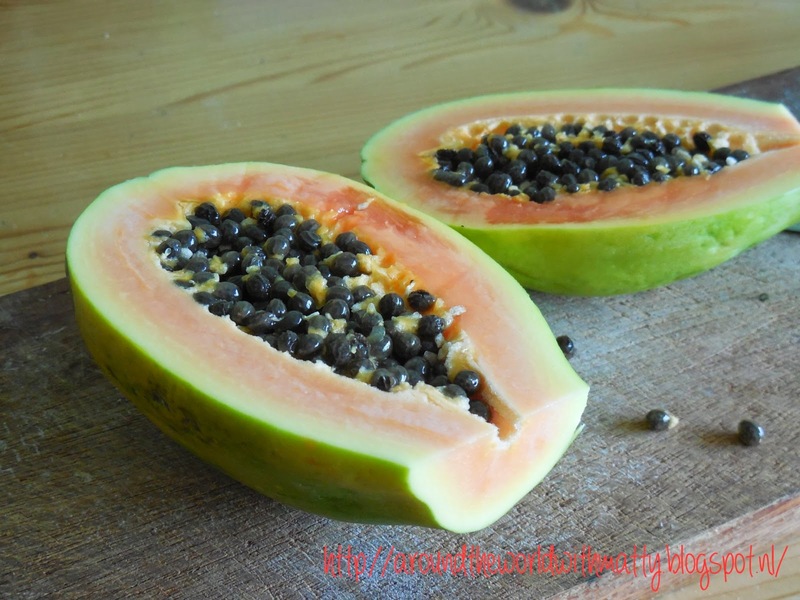 The Papaya is from the tropical part of America, so from Mexico to Central America. It was first cultivated in Mexico many centuries ago. It has become a popular treat worldwide. 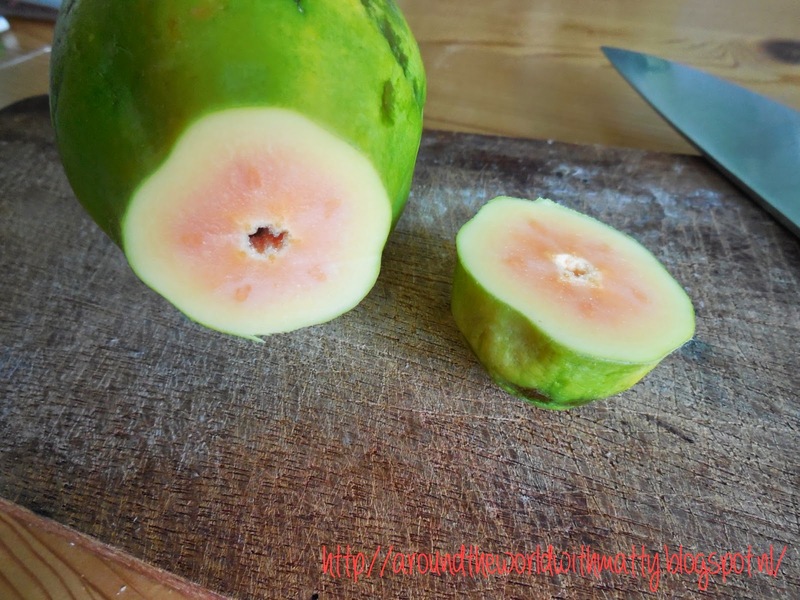 How do yo know if a Papaya is ripe? Well, if the fruit starts coloring yellow, looks bruised and when you press the Papaya you should be able to make a slide indention. If it's still green let is rest for a few days before you eat it. 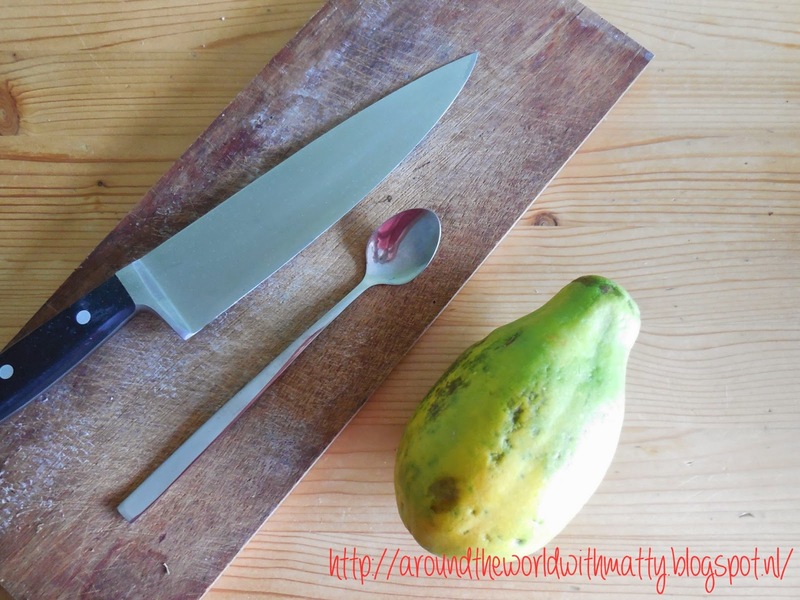 What you need to slide the Papaya is a cutting board, a sharp knite, a spoon and something to put in the pieces of fruit. Now before starting, wash the Papaya with water even thouth the skin isn't edible. Now lay it on a flat surface and cut of the top. After that cut it in half so you see the black seads. When you cut it in half to be surpriced by the funny smell, this is what it is suposed to smell like. Now, use your spoon to remove the seads and the sticky membrane that coats them. Now all you have to do is remove the skinn with a knife. I used a smaller knife for this and be carefull not to cut you fingers. When tasting the Papaya i didn't really like the tast, but i found out that it tasted better when heated. 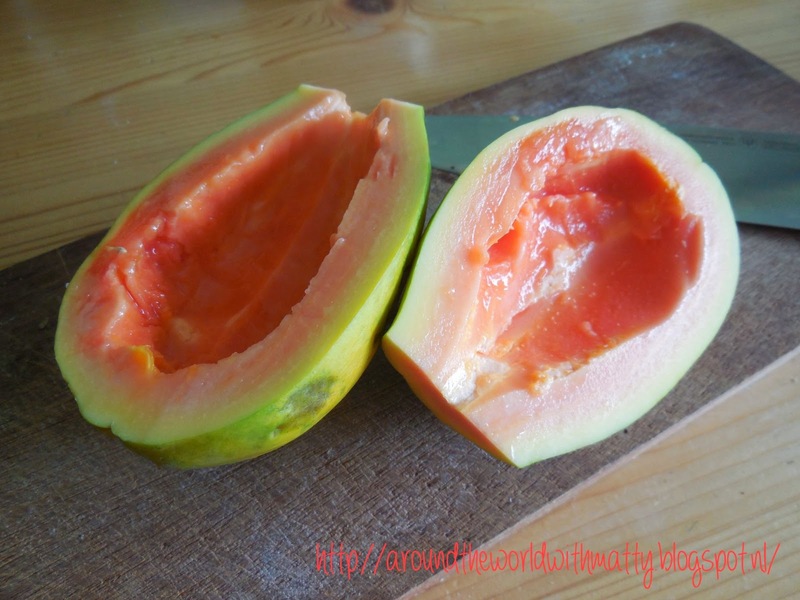 Give it a try and let me know if you like Papaya.